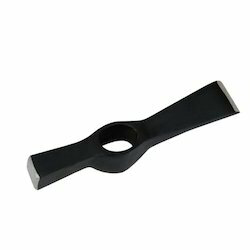 We are counted among the trustworthy manufacturers, suppliers and exporters of Industrial Hammers in the international market. 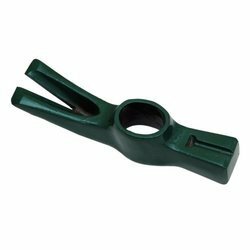 All the aforementioned products are engineered by sedulous professionals, who manufacture these hammers using premium quality metals and allied components. Hardened & tempered, these products are acclaimed for their robust construction, abrasion resistance and longer functionality. Our organization is listed among the most trustworthy names engaged in offering various types of Club Hammer to the clients. These products are designed and made by skilled workmen in tandem with international industry guidelines and defined quality norms. Moreover, we ensure to make use of superior-grade material in the fabrication process, ensuring that a high performing range gets delivered at the customers' end. The product is also known by its Italian name as (A) Mazetta acppia (B) Mazzetta ottagonale. 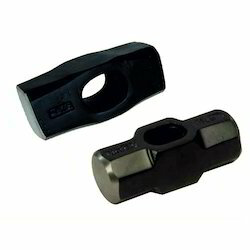 We have added a wide variety of Mason S Hammer in our product-line to meet clients' varying needs. The products we offer, are designed and fabricated by skilled workmen, utilizing superior quality raw material and advanced techniques. We make it a point to design these products as per the universally accepted norms and standards. The product is also known by its Italian name as Martello muratore. The product is also known by its Italian name as Morllo carpentiere tipo francese. 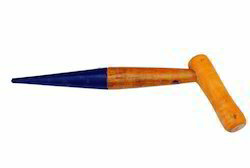 This Product is also known in Italian Market with the name of " Piantatore M/Legno"
Looking for Industrial Hammers ?